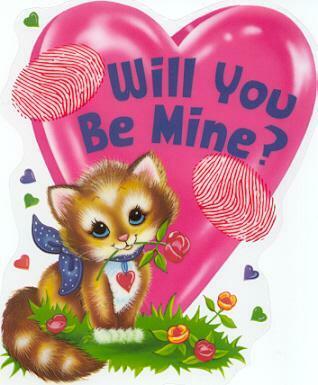 So, Valentine’s Day has come and gone, the chocolates have been smashed like a box of Lindt after Fashion Week, the flowers are gently wilting and wrinkling, dinner is a mere hazy memory and the stuffed teddies are starting to look a little creepy and out of place on your bed. But before we move on completely I thought I’d fill you in on how things went on my double cheese burger of a Valentine’s Day. I presented my husband with his Valentine’s gift first thing in the morning as he was pulling on his socks (admittedly not the most romantic of moments): a key to my love decorated with little glass roses and hearts, accompanied by a home-made card with a delightful pic I’d downloaded off the internet. He got me… nothing. Apparently he hadn’t had an opportunity to blah, blah, blah. To be fair I did get a present from him when he got home that afternoon but my feelings regarding the gift were bitter-sweet: he seemed to have missed the cheesy brief entirely and what I received was a beautiful framed photograph of the Mister and my gorgeous baby. Valentine’s dinner was absolutely perfect in every way. The First Sighting Savignaugn Blanc was ice-cold and dry and delicious. The main course of truffle mushroom Wellington was the tastiest thing my tongue has ever had the joy of meeting. And the dessert, the oh-so-beautiful dessert, of chocolate fondue was moreish and delectable and I just died eating it. If you’re looking for a special place with amazing food I highly recommend Licorish Bistro at Nicolway shopping Centre in Bryanston. Have a look at their menu and get their contact details at www.licorish.co.za. If you’re feeling a little down in the wake of the chocolate and red-lace lingerie binge and are looking for something exciting to perk you up again, there are some exciting things coming up. According to Professor Jacques Snyman, clinical advisor for Resolution Health Medical Scheme, there are a number of important health benefits to being in love, like making you look younger and making you live longer. So add some years to your life and a little spark to your relationship by going on an outing with your lurve to one of these fab events. If you’re going to be in the Cape Town area on Saturday 23 February, why not pop into the Hartenberg Wine Estate for an evening of Tapas and Jazz with the popular band Manouche. Tapas and wine (without a doubt), will be served. For more info, visit hartenbergestate.com. And if you’re in Johannesburg, Body Worlds and the Cycle of Life is coming to Sci-Bono Discovery Centre in Newtown from 20 March – 30 June. 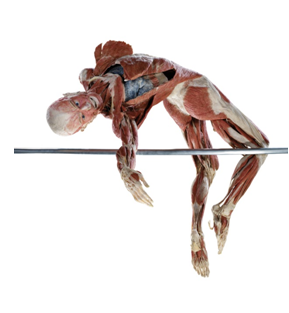 It’s the first anatomical exhibition of its kind to display real human bodies and offers visitors an unforgettable peek under the skin to experience just how amazing our bodies truly are. If you’re looking a little further into the future, Andre the Hypnotist will be bringing his hilarious show to the Grand West Roxy Revue Bar from Friday 12 April 2013 to Saturday 4 May 2013, from Wednesday to Saturday. So while you’re working a little harder at the gym to remove those few extra kilos you managed to put on around Valentine’s Day with the ‘it’s for Valentine’s Day’ chocolate-and-dessert-scoffing excuses, remember that there are still fun things to do that don’t involve punishing yourself with a squat or treadmill. This entry was posted in Banter and tagged chocolate, essential magazine, Essentials, Essentials magazine, February, Simone. Simone Wessels-Bloom, vlaentine's day on February 18, 2013 by simonewb.